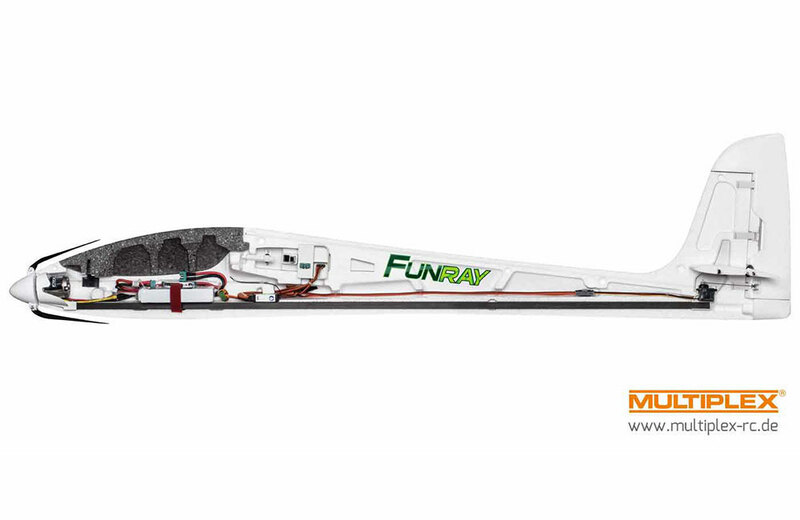 All Products > "25214334 Multiplex MPX Funray Kit 214334"
With the MULTIPLEX FUNRAY a new era of the elapor models is about to begin! 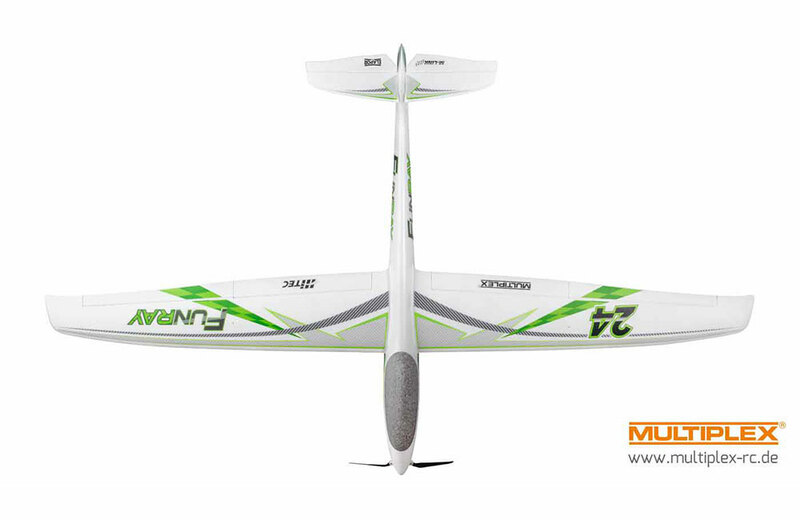 This fully-built, elegant 4-flap electric sailplane has inspiring and dynamic flight performance. 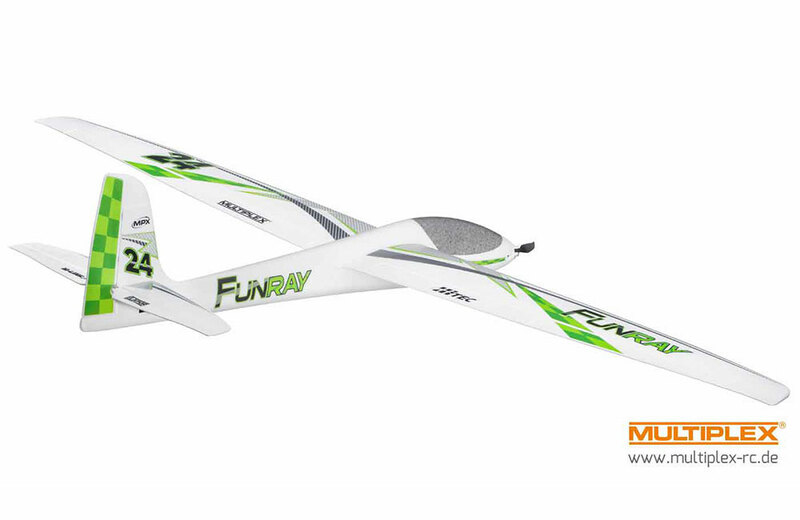 The FUNRAY is a versatile model that is equally suited to flying on the slopes or hunting for thermals. Using crow mixing the Funray makes accurate landing like child's play. 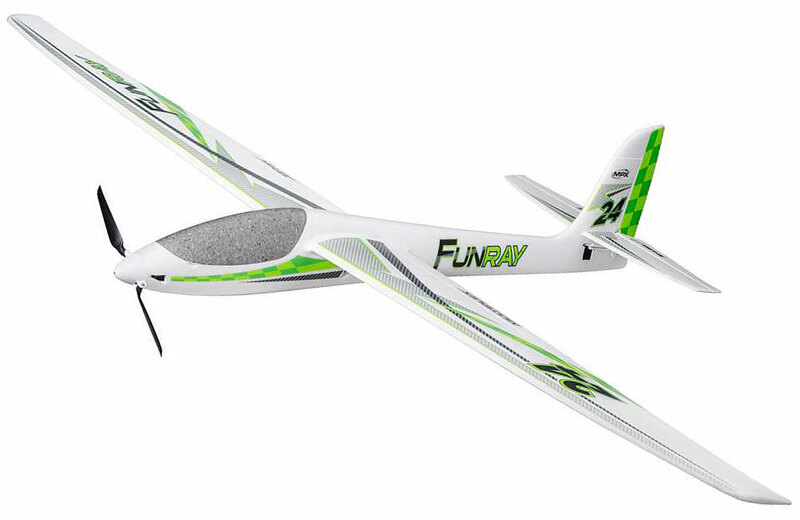 The FUNRAY combines incredible speed and precision allowing it to excel in aerobatic flight. This performance is made possible thanks to a modern hybrid construction with the use of carbon fibre, stainless steel, aluminium, plastic and the special elapor construction foam. 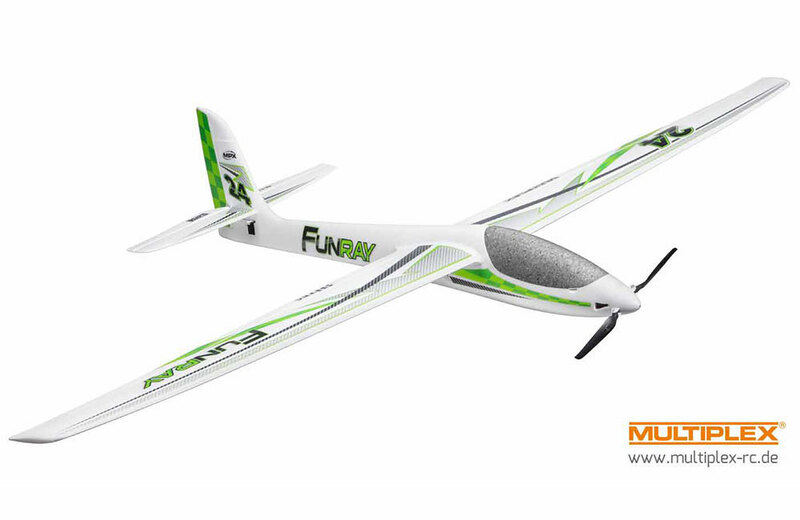 We recommend a high quality 11.1V 3S1P 3200mAh 30C Li-Po for the best performance. 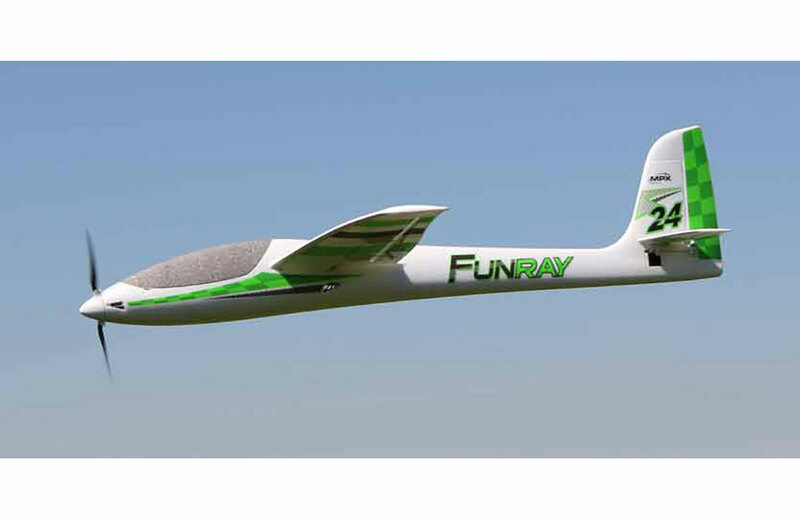 This is the KIT version of the Funray meaning that it is supplied without electronics, allowing you the opportunity to install your preferred equipment.